VAUGONDY, R. de / DELAMARCHE - La Suède. Map maker : VAUGONDY, R. de / DELAMARCHE. Size : 9.5 x 7.6 inches. / 24.1 x 19.3 cm. 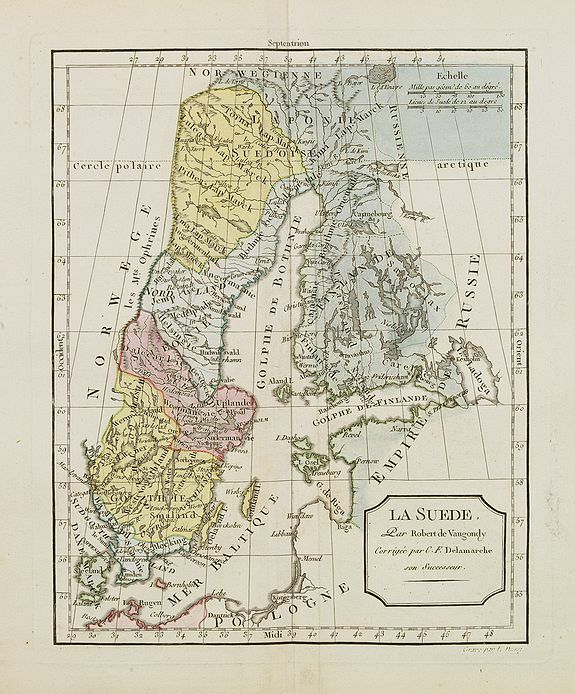 Description :Map of Sweden and Finland. Condition : Good and strong impression on solid paper. Some minor marginal spotting. With some later colour addition in landmasses. Else very good condition.